A beautiful wall clock both design and contemporary. A clever mix between concrete and copper colors for this wall clock. With a diameter of 25.4 cm, this trend clock will be perfect for an interior decoration. Delivery around the world for this wall clock. Copper is very fashionable in interior decorations and this wall clock is the perfect embodiment. 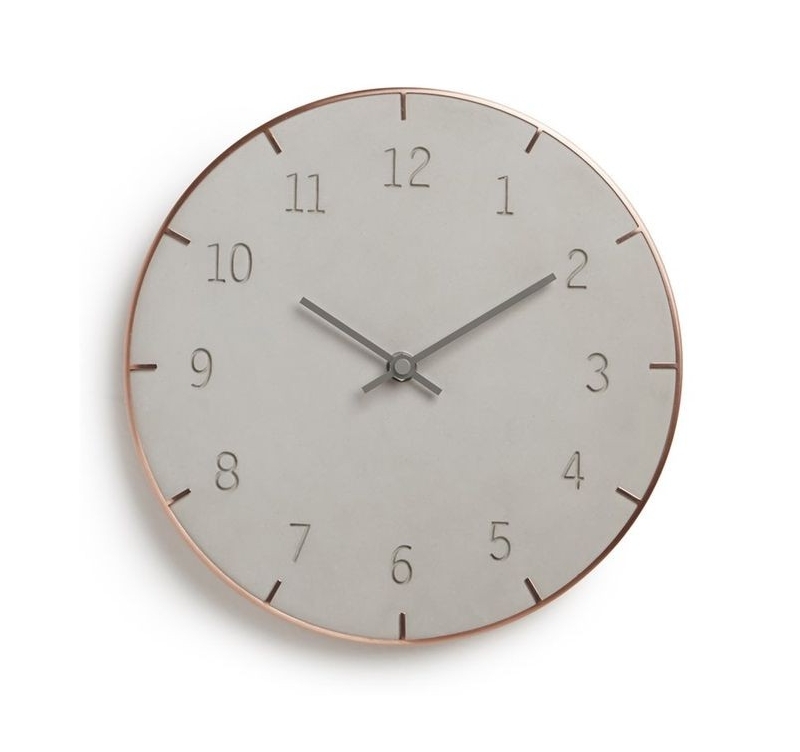 Its copper plate and concrete color merge perfectly to give you this modern wall clock. The numbers are clearly visible and fit perfectly with the overall design of the clock. 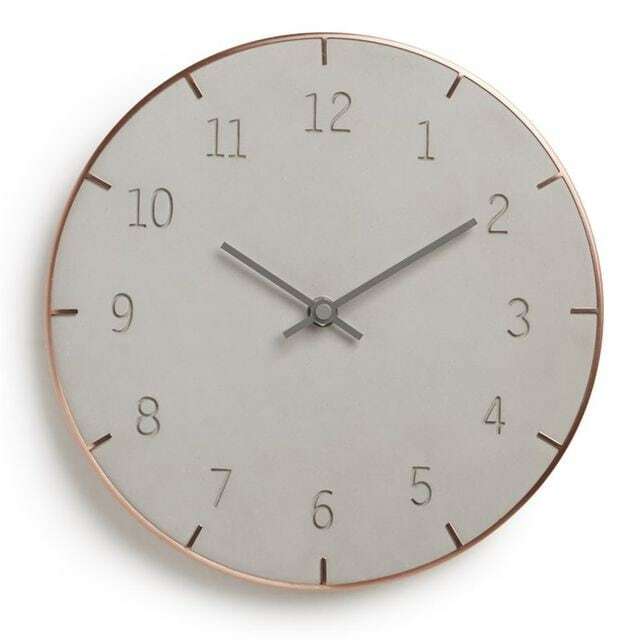 Ideal for Scandinavian decorations or in a blend of chalkboard, art photo or metal wall decor, this design clock is clearly a plus for your home. 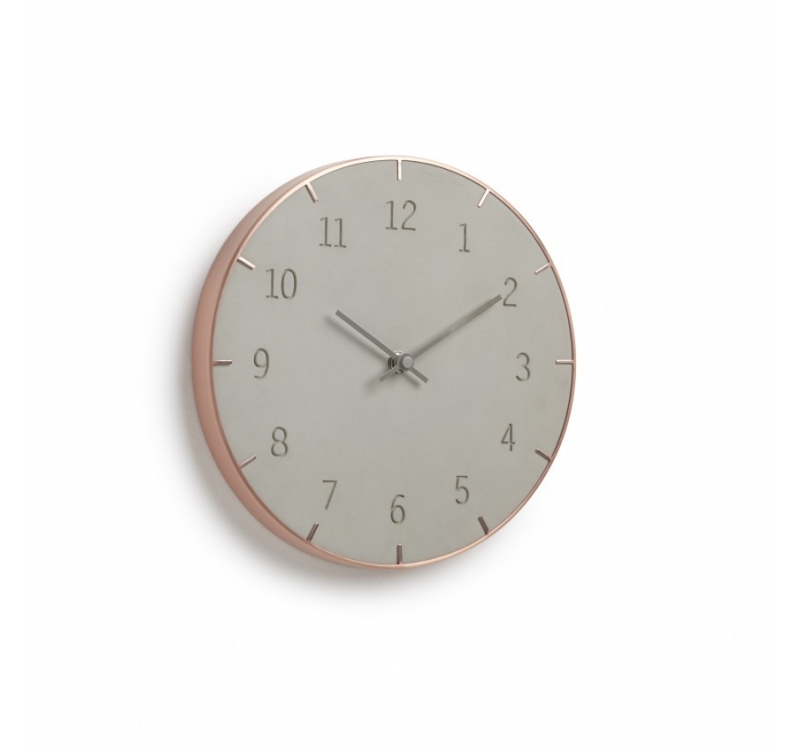 The quartz movement guarantees a long life for this trendy wall clock made of concrete resin and copper clad metal. Delivery around the world for this wall clock and with its protective packaging.